What are your predictions for the 2012 World Snowshoe Championships? The World Championships will take place on March 11th in Quebec, Canada. Write your predictions in the comments section below. 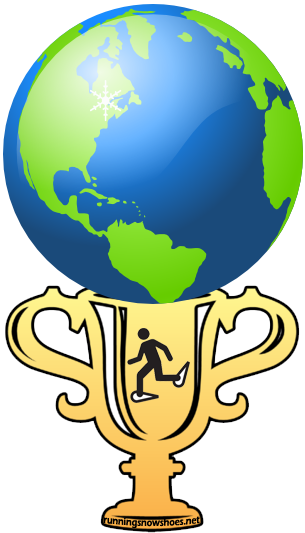 1st Place prediction for World Snow Shoe Race is Eric Hartmark. I bet you would have taken 1st place if you’d had the little tiny snowshoes like the other race participants in the race instead of those gigantic race snowshoes! Great job on your race Eric and Greg!